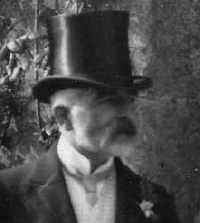 Edward Jacob Walter (1849-1924), known as Jacob, was the son of Walter Walter and Ann Leach Penny (see Walter Family of Babcary). Aged 12, he is listed in the 1861 census at Greenhill Farm, Babcary, Somerset. 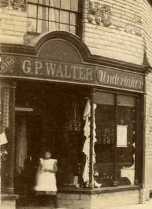 In 1871 Jacob is listed as Edward Walter (21) grocer's assistant in a long established business then headed by Elizabeth Beckingsale at 426 High Street, Cheltenham, Gloucestershire. On July 21 1874 Edward Jacob married Eliza Gillett (1840-1925) at the Presbyterian Church, Cheltenham (commonly known as Cheltenham Chapel, now in secular use and next to Jenner Gardens). 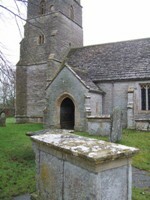 See Cheltonia for a superb description of the area and its history - and a picture of Cheltenham Chapel. Witnesses at the wedding were: Robert Scuse Gillett (Eliza's older brother), Susanna Walter (Jacob's younger sister), William Allen Walter (Jacob's second cousin? ), and Ann Elizabeth Walter (probably daughter of Jacob's first cousin George Walter who had a Temperance Hotel at 1 Crescent Place, Cheltenham). Eliza was the daughter of John Gillett a member of the Quaker Gillett family of Brailes. Jacob was described as a grocer's assistant of 430 High Street, Cheltenham. They moved into what was probably a house rented by Eliza's family, 11 Albert Place, Cheltenham (subsequently re-numbered 16 and now a listed building). Jacob and Eliza had one child, Edward Ernest Walter (1878-1938). He paid 2 shillings and a fraction over 3 pence for every Pound owed to his creditors at the Official Receiver's Office in Gloucester on October 12 1889 as a first and final payment. This was less than an eighth of the money owed. In 1891 they kept the 'Old Keinton Shop' in Castle Street, Keinton Mandeville, near Babcary, a village with a significant quarrying industry. The census entry appears immediately after the Three Castles Inn. Jacob was listed as a draper in the census. As well as Jacob, Eliza and Edward Ernest, a servant Florence Cannon aged 13 from Babcary and two-year-old visitor Ivy Hayes (Jacob's niece and daughter of sister Susanna) from Street are listed. 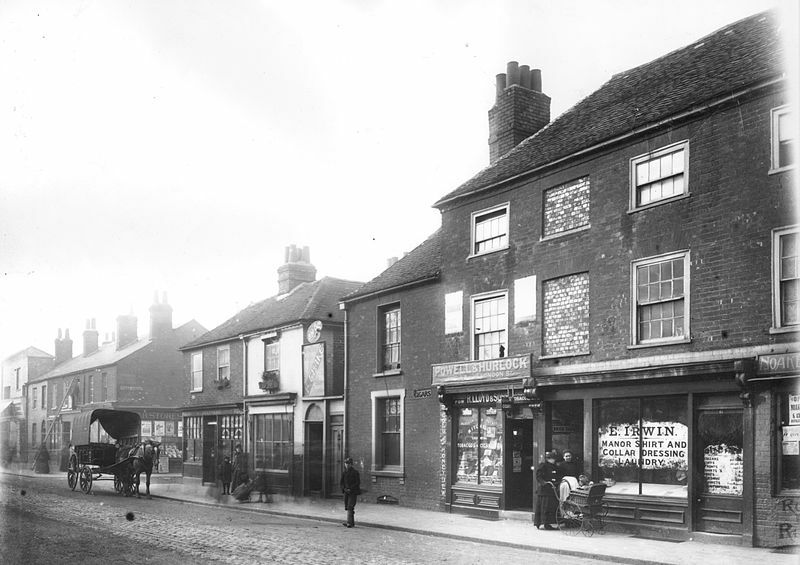 At some point between then and 1901 they moved to Oxford Road, Reading, Berkshire and subsequently to 29 Cannon Street, Reading by the time of the 1911 census when Jacob was an insurance agent. In 1901 Edward Ernest was working as a draper in Fulham, living in a boarding house owned by Aberdonian George Mearns at 9 Upper Porchester Street, Paddington. Edward Ernest married Elizabeth Horne on September 12 1905 at St Stephen's, Careby, Lincolnshire (her father, Henry Horne was butler to the rector). Edward Jacob was a witness. Edward Ernest and Elizabeth lived at 80 Silver Crescent, Gunnersbury, London, W4 and had two sons: Edward Henry (1909-1982) and Kenneth Gillett (1911-1996). Following the First World War, when he joined the Royal Flying Corps, Edward Ernest returned to the drapery trade in London. He died in St Margarets, Twickenham, Middlesex in 1938. Edward Henry married Katherine Bath in 1937 and had no children. Kenneth Gillett married Kathleen Prossl in 1947 and had two daughters, (living).